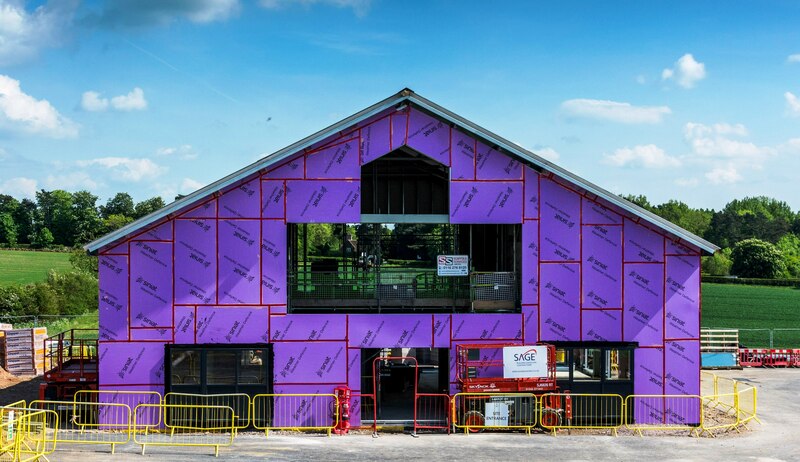 Sage BEC (formerly Sage Roofing) are currently working alongside Willmott Dixon on a Not-For-Profit (NFP) project called the ‘Get Busy Living! Centre’ in Melton Mowbray for the Matt Hampson Foundation. 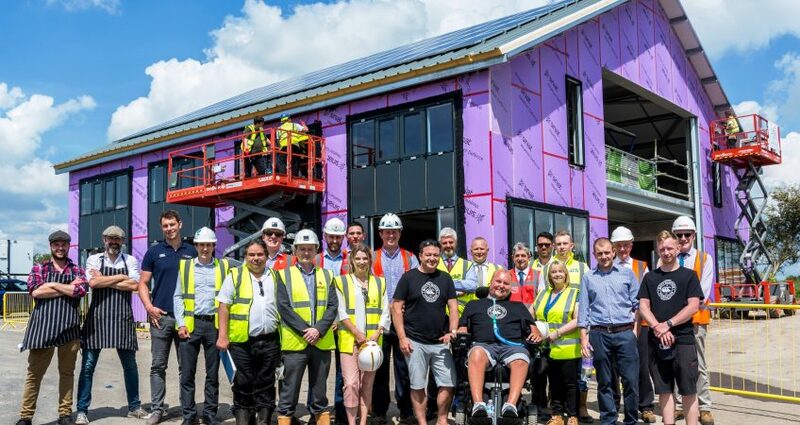 The state of the art centre has been designed to provide both physical and mental rehabilitation to beneficiaries of the foundation, which was formed in 2010 under the stewardship of Matt himself. With the unprecedented support of family & friends, Matt was able to make his visions of the foundation a reality; and now with the centre, he is able to make that next progressive step in the development of the foundation and the support it is able to provide its beneficiaries. Matt’s own story is a true testament to his own individual strength, courage and resolve. He suffered a potentially fatal injury during an England U21 rugby training session in 2005, which left him paralysed from the neck down and requiring the aid of a ventilator to breathe. His strength shone through and he followed the mantra of “get busy living or get busy dying”, deciding that he has so much to give despite his physical limitations.